Take a walk with the poles in your hand. Try this popular sport for all ages and discover the beauty of local nature. In Bachledka, we have prepared 3 routes for Nordic walk of different difficulty, which will take you through the beauties of Bachledova Valley and Jezerska in cooperation with HUSKY. You can borrow quality HUSKY poles at Infocentre in Bachledova Valley or Pension SKI Jezersko for a fee of 3 euros / day. There is also a map and helpful staff here who will quickly learn the principles of Nordic Walking. The path from the Spišská Magura ridge can be a great fun. You only need to borrow disc-golf set at the information center and play disc-golf. Our 9-hole course offers new and inexpensive form of entertainment for the whole family. 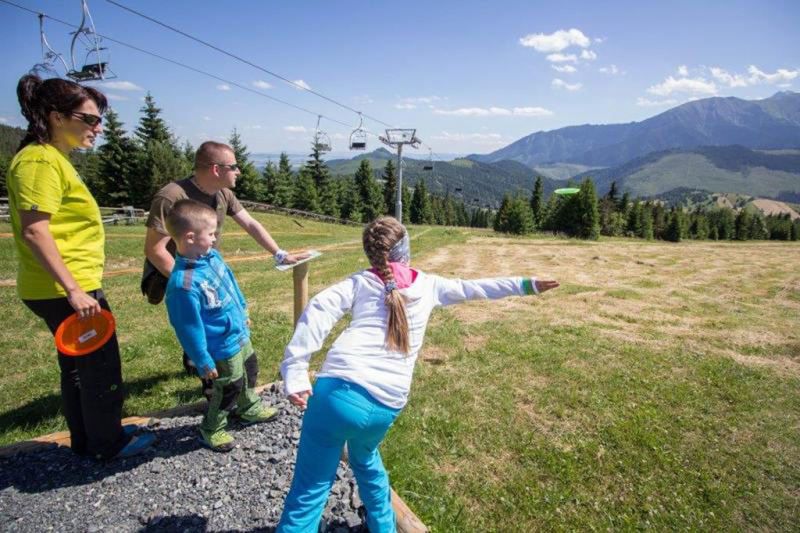 Take the cable car to the ridge, stroll down along the slope Bachledka and play disc-golf. Disc-golf is a sport similar to golf but instead of balls you use flying saucers – discs. The winner is the one who manages to throw the disc into the basket with the lowest number of throws. Maps and rules of the game can be found at the course as well as in each disc-golf set. 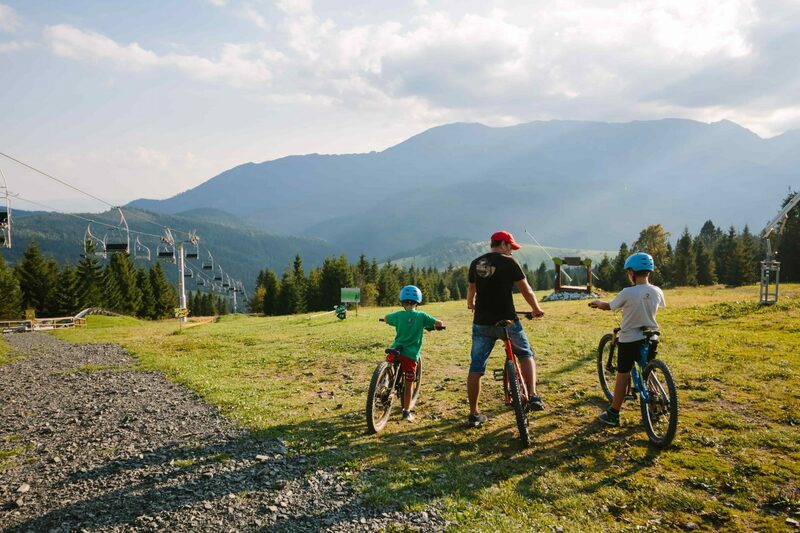 Near the Bachledova Valley you can find up to 130 km of mountain biking trails that will take you through the beauties of the local nature. Just select a route by theme, terrain, and difficulty. They will lead you along mountain streams, ridges of mountains, hidden lakes, and silent forests. 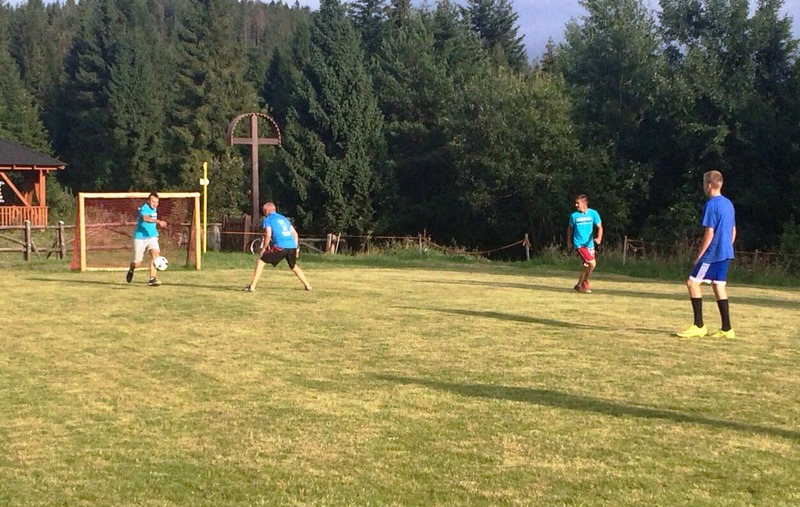 Bachledka has the highest situated football pitch in Slovakia. Playing football with friends at this height is a great experience and fun. You can borrow the ball in the buffet or bike rental.